We do professional appliance repair in Kentfield. If your kitchen appliances or washer and dryer are broken, we can help. Our technicians are well trained to fix all brands and models of appliances. For example Asko, Bertazonni, Bosch, Dacor, DCS, Electrolux, Fisher&Paykel, Frigidaire, GE, Jenn-Air, KitchenAid, La Cornue, LG, Liebherr, Marvel, Miele, Perlick, Samsung, Siemens, Sub-Zero, Thermador, Traulsen, True, Viking, Whirlpool, Wolf and much more. They will find the right parts for your broken appliances and will expertly install it if needed. No matter how complicated the problem is, our skilled home appliance repair team will be able to find the best solution for you. What makes us different than other appliance repairs in Kentfield companies are our skills and experience. Our company has been in business for more than 30 years. We have the most dedicated and experienced team working for us. All of our technicians are factory trained and certified. They can do repairs on all kinds of appliances. For example, we specialize in refrigerator repair, washer repair, dryer repair, dishwasher repair, stove and range repair, oven repair, steam oven repair, microwave repair, freezer repair, ice maker repair, barbecue repair, pizza oven repair, patio heater repair and much more. When it comes to Appliance repair in Kentfield, we offer you the best customer service. Our team is always punctual, respectful and ready to help. We will work around your schedule and will make service appointments even on weekends and afternoons. Our scheduling is very flexible. Also, we offer our clients a FREE service call with every repair as well as FREE, accurate estimate. We promise to do an excellent job for you into time at all. 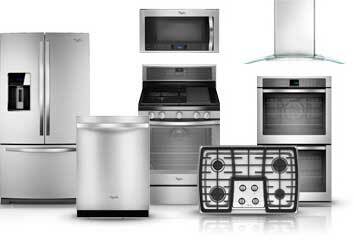 Top Home Appliance Repair has been doing appliance repair in Kentfield for more than 30 years. We are a local company with several locations throughout California. Currently, we have locations in Novato and Marin County. You are just a phone call away from highly qualified appliance repair specialists in your area. We guarantee you the first-rate service whether you need commercial repairs or residential repairs. No project is too big for us, and we are used to working with private companies on commercial kitchen appliances. Why pick us to do appliance repair in Kentfield for you? We are the best when it comes to appliance repair in Kentfield because we have all the experience and skills needed. Our technicians know everything there is to know about all brands of kitchen and laundry appliances. They are all factory trained and certified. They will be able to work fast without unconvincing you in any way and give you great results. Our company strives to keep clients happy with our work. We will go out of our way to make sure your kitchen and laundry appliances are in the best shape possible. For appliance repair in Kentfield, please call us at 628-214-0064 or you can fill out our short contact form. We would love to talk to you and answer all of your questions. Customer satisfaction is guaranteed! 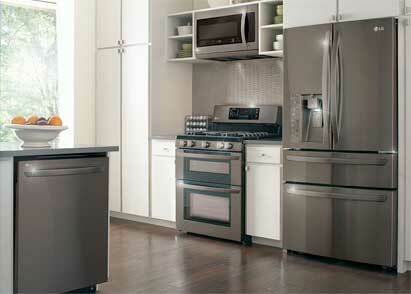 We do professional appliance repair in Kentfield. If your kitchen appliances or washer and dryer are broken, we can help. Our technicians are well trained to fix all brands and models of appliances.